Turkey-backed Syrian rebels have begun attacking the ISIL-held village of Dabiq. The small town, prophesied to be the site of the apocalypse in the Hadith, is of little military significance to ISIL. However the group has stationed around one thousand two hundred fighters in the town and the surrounding area has been scattered with mines. 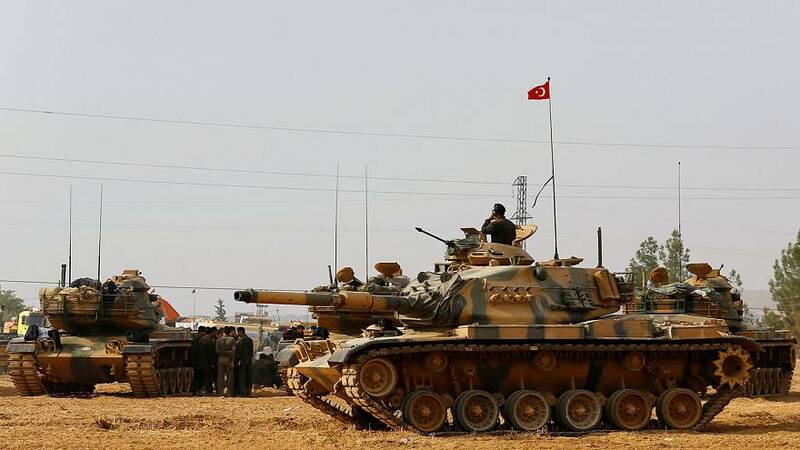 The assault begins as tensions between Turkey and Iraq over the presence of Turkish troops at the Bashiqa military camp near Mosul continue to grow. Turkish president Recep Tayyip Erdogan has said that Iraq’s central government cannot drive ISIL out of Mosul alone. The offensive is expected to begin imminently, although Turkey and Iraq can’t agree on who should take part in the US-backed assault. According to Islamic prophesy detailed in the Hadith, Dabiq is to be the site of an apocalyptic battle between Muslims and infidel Christians. The group has stationed close to 1,200 fighters in the town, according to the Syrian Observatory for Human Rights, and land mines have been placed in the surrounding countryside.